Hope I find you all well? I've not been around for a while I seem to be so busy with one thing and another. I really enjoyed making the daffodils. I've also enjoyed making baby blankets too. I'm hoping after a very spring like Saturday, spring may be finally on its way. Hope you've all had a lovely year so far. Here are some recent-ish makes. 6, A sleepy kitty, Dusty has had a very relaxing Christmas. Wishing you all every happiness all through the year and after. My naughty computer has decided not to access the internet. 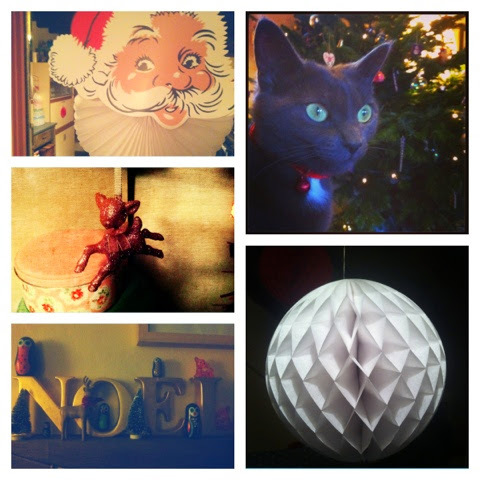 I had to have a quick dash round with my phone to show you some of our decorations. Wishing you all a wonderful Christmas and a happy new year. Here we are in December. The calendar is filling up with mostly my daughters things to do. It's the time of year when my head feels like its constantly juggling things to remember. I think I will let out a little sigh of relief when my daughter breaks up for Christmas and I get her to myself again. I've been making little Christmas bits here and there. I'm very pleased with my puddings, you may have spied them on the blog banner. I made them without a pattern, its one of the first things I have made without a pattern that has worked. I used old faithful style craft and topped it off with green felt, red pom poms and bakers twine. Will be back again soon with some more makes...need to get my camera out. I hope I find you well and wonderful? I thought I would show you these cute little socks I've been hooking up. 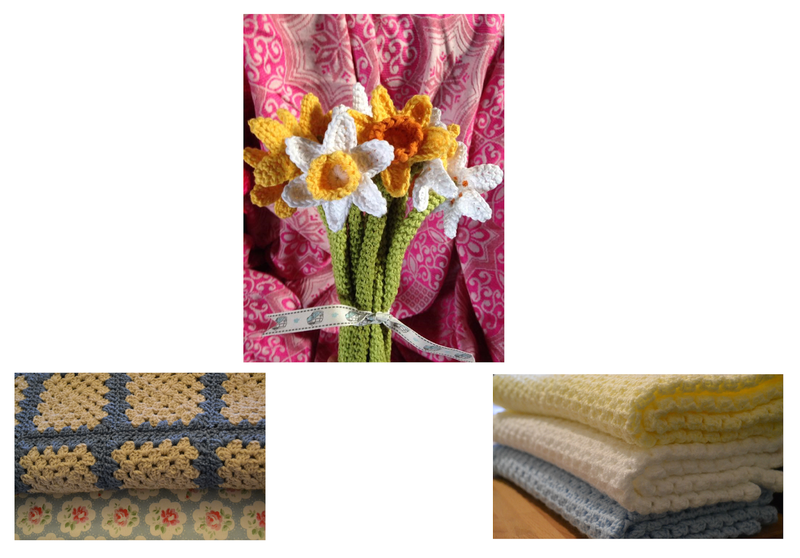 You can find the pattern here if you have time have a look-see around this blog there are lots of lovely things to make and see. I added a little decoration to each one to make them all different. I've used teeny tiny pegs to hang my socks. There really cute with the red and white bakers twine. I've nearly finished my last five that will be going to live with my sister in law. I've recently made a baby blanket in wool. I'm such a fan of style craft, but I must admit working in a lovely soft wool was a welcome change. I really loved the look of it too after it was all blocked. I used drops lima which is a bargain at the moment! Thank you so much for your lovely comments on the last post. Now I'm off to catch up with what you've all been up to. We've had a lovely half term here, mild weather and plenty of fresh air. A little colour left in the garden. I picked a dahlia today to cheer up the window sill in my bedroom. I was very pleased with my three home grown pumpkins! I've been quietly working on my Grandad's Christmas present ssh!! Don't tell. A cosy lap blanket for chillier nights. It hooked up quite quickly in a granny stripe pattern, I used stylecraft grey dk yarn and a blue from my stash. My cat Dusty seems to have taken to one of my vintage suitcases I think I might have to get him one of his own and convert it into a bed. Thank you for your kind comments on the last post. I feel its running away with me. About 2 months after the wedding I can finally show you some photos from our big day. Our beautiful cake and on the sides of the photo you can just about see the bridesmaid's sweet pea bouquets. Getting ready my hairdresser really treated my daughter making her feel like a princess having her nails done too. My daughters shoes and petticoat on her swing at the bottom of the garden. Standing in front of the beloved camper, that I wanted to keep forever. Will be back soon with some crochet makes and updates until then thank you for bearing with me. Off to catch up with some blog reading.